I have another super simple, super easy card to show you today using a Picture My Life™ Kit!! 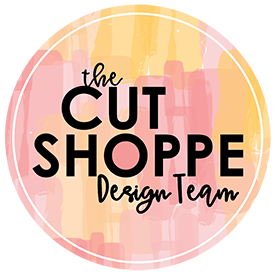 My card is based off the most current sketch at Freshly Made Sketches! For my card I rotated the sketch and made the underneath layers slightly larger. I used the Later Sk8r Picture My Life™ Scrapbooking Kit and the Seaside Paper Packet to create this Halloween card. 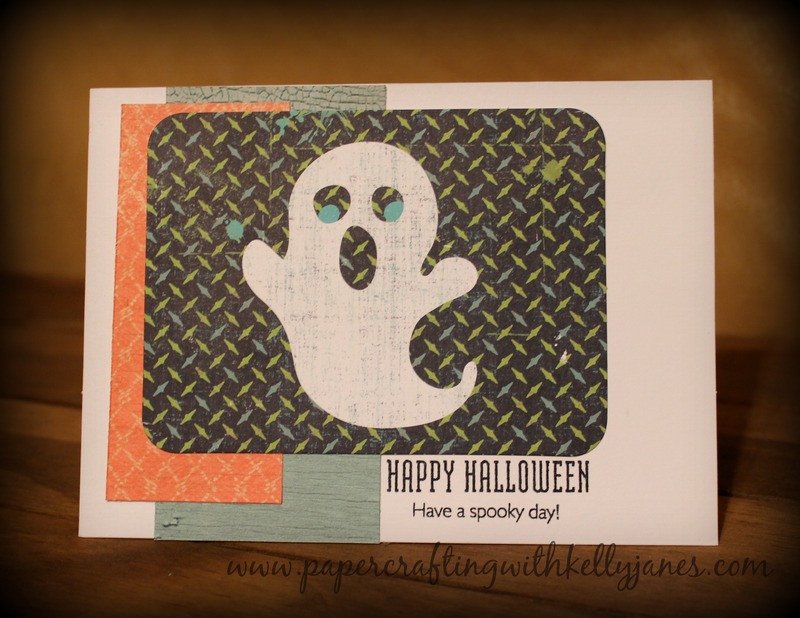 Yep, my card is a combo of Halloween & beach themed paper! The Later Sk8r PML Kit is full of a lot of different themes, including this journaling card that can be used as a Halloween theme. The sentiment is from one of the stamp sets that is included in the Artfully Sent Cricut® Cartridge Collection using Outdoor Denim Exclusive Ink™. Voilà…card complete! What a cute ghost! And I love the mix of dsp. Thanks for joining us at Freshly Made Sketches this week! This is so fun!! Love that little ghost. Glad you joined us this week at FMS!